During the week, no fewer than four persons, including a pupil and a security guard of Dolphin High School, Lagos Island, were reportedly shot by operatives of the National Drug Law Enforcement Agency. The pupil, whose identity had yet to be ascertained, was said to have died from the injury he sustained, while the school guard, Godwin Nsidieti, lost his left eye to the gunshots. Two other victims, a civil servant and a man said to be a resident of Igunu Street, Nurudeen Animashaun, were also injured by the operatives. 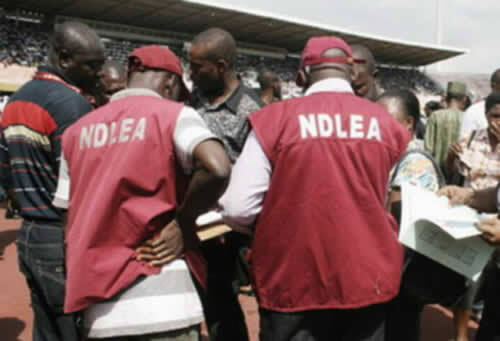 It was learnt that the NDLEA operatives had stormed Tapa Street, Lagos Island, in two Hilux vans around 8am on Tuesday, April 17, to arrest suspected drug peddlers and had reportedly parked their vehicles at a junction opposite the school. But while they were raiding Patey, a neighbouring street, they were said to have been repelled by some youths. After being repelled, it was gathered that the operatives started shooting indiscriminately, during which a bullet hit a pupil who was said to be going to school. The school guard had reportedly come out of his security post on hearing gunshots when he was hit in the eye. The operatives reportedly fled the area, while two of the victims were rushed to the Lagos Island General Hospital for treatment. A resident, who gave his name only as Raphael, narrated that the NDLEA officials also arrested a cripple during the raid. He said, “Men of the Federal Special Anti-Robbery Squad from Ikeja had earlier raided the community that day. No sooner had they left than the NDLEA men came in through Tapa Street in two Hilux vans. “They were in mufti and some boys tried to chase them away. As they started shooting, they hurriedly wore their jackets with NDLEA inscribed on them. “Before we knew what was happening, the school guard and a pupil had been felled by bullets. A civil servant and another man [Animashaun] also sustained injuries. The officials quickly entered their vans and ran away. According to Punch, an eyewitness, who pleaded anonymity, alleged that the NDLEA officials shot directly as people, who were going to their places of work, scampered to safety. He stated that policemen from the Area A Command, Lion Building, were deployed to the scene after a distress call. “One of the victims, Nurudeen [Animashaun], has just been discharged from the Lagos Island General Hospital. The school guard has been referred to the Lagos State University Teaching Hospital Ikeja because his condition is critical. A pupil was also shot and I learnt he died,” he added. Meanwhile, Godwin’s younger brother, Anthony Nsidieti, said he had pleaded with the NDLEA operatives to cease fire after his brother was gunned down, but his entreaties fell on deaf ears. He said, “I was around the Abari Cemetery when the NDLEA officials started shooting. My brother heard the gunshots and came out of the school gate to find out what was happening. People were calling my brother’s name. I rushed there and met him inside the gutter. “I hid in a corner and begged them to stop shooting so I could take my brother away. As some people wanted to join me to rescue him, they started shooting again. In the process, a pupil and civil servant were shot. The boy’s mother came to carry him. Anthony said two surgeries had been carried out on his brother, lamenting that the family had spent about N1.5m. “He will do the third surgery this week. When I went to the hospital on Friday, we were told that he would spend about two months more,” he added. The spokesperson for the NDLEA, Jonah Achema, had promised to get back to Punch which reported the incident but didn’t do so as of press time. However, the Lagos State Police Public Relations Officer, SP Chike Oti, confirmed the shooting and said the police had written to the NDLEA in Lagos to produce the officials who went for the operation for questioning. “We are awaiting a response,” Oti said.